Sometimes there is no easy way out. Fortunately, you have options. When you are ready to get off the beaten path and exercise more control, create more horsepower, and run closer to the ragged edge, then the Holley HP series of EFI Systems may be for you. 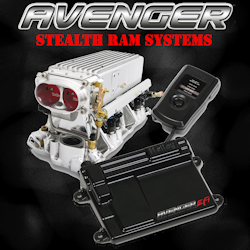 Don't worry, there are still some kitted multi-point and stealth ram options for those who are running Chevrolet and simply need more control than what Terminator and Avenger offer. But more options abound. 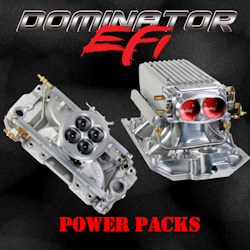 More than twenty different pre-configured ECU and Harness kits are available that reach beyond Chevy LS engines into Ford Modular 2V, 4V, and Coyote engine. Or choose one of the terminated or unterminated universal kits and build a system for whatever you want--the sky is the limit. This is a huge growth area too, so expect to see even more ready-built harnesses in the future. HP ECU & Harness Kits are available for more than 20 different applications, including Ford, GM, and universal. HP Multi-Point EFI Kits provide all of the major components for Chevy Small- and Big-Block multi-point EFI installation. 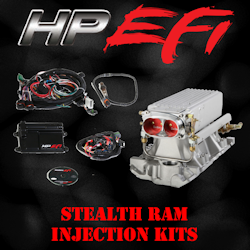 HP Stealth-Ram EFI Kits give Small-Block Chevy owners not just EFI but also that awesome Stealth-Ram induction look. 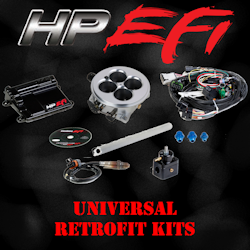 HP Universal Retrofit equips you to do a retrofit your carb-style V8 manifold with Multi-Port EFI. When comparing fuel injection systems, there are three primary considerations: Capability, Complexity, and Cost. First, can it do everything you need it to do? Second, can you figure out how to use it? Third (and maybe most importantly), can you afford it? The Holley HP Fuel Injection Systems are designed to hit the center of this difficult target, giving incredible capability, simplified operation, and low cost in one fuel injection system. 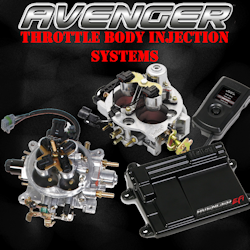 No other fuel injection system on the market today can claim to do so much for so little. 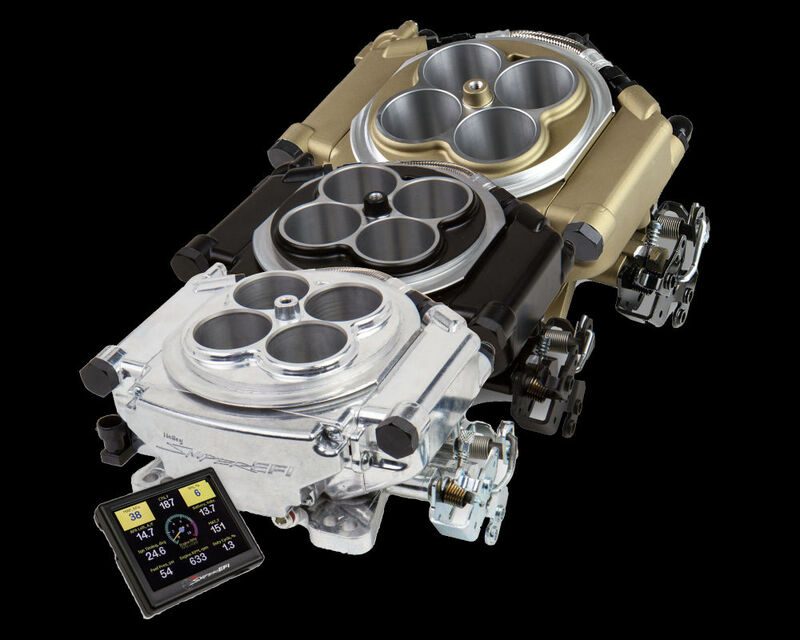 And, like all Holley Fuel Injection System ECU's, the HP features a self-tuning fuel table, which makes a trip to the dyno either completely optional for many users and greatly simplifies the task for the rest. 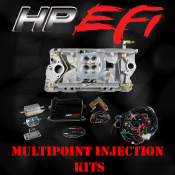 A complete list of all Holley HP Fuel Injection Kits is listed at the bottom of this page, but they break down into the following groups. 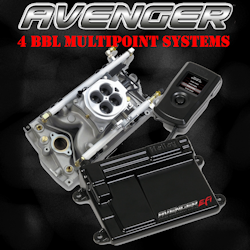 TBI, Multi-Point, and Stealth Ram kits that only require the installer to select the right fuel injectors and fuel pump and are otherwise complete. 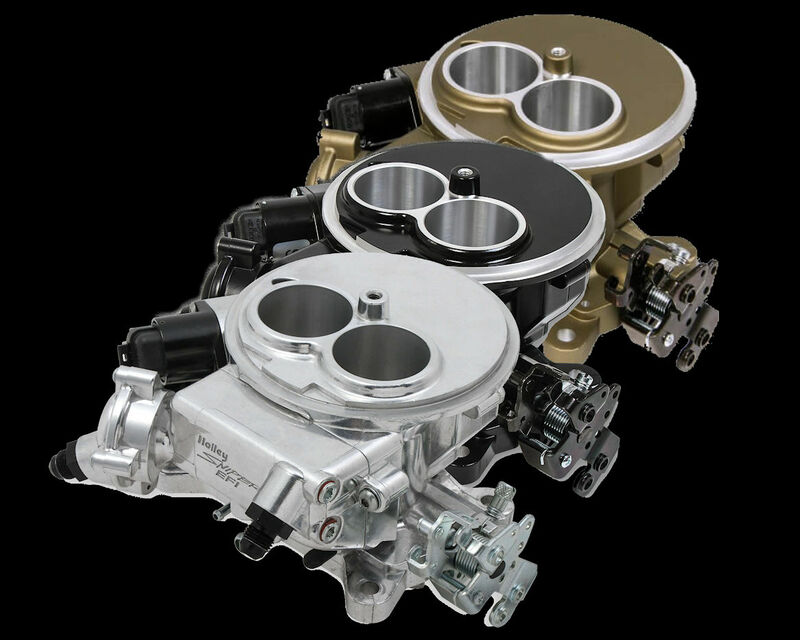 The TBI kits allow you to replace an existing carburetor on just about any application, while the Multi-Point and Steath Ram kits are application specific. 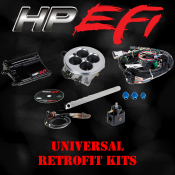 Retrofit kits allow you to install Holley HP Fuel Injection on any V8 application. 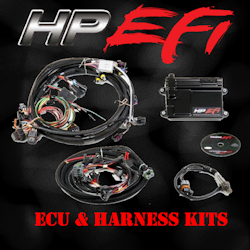 ECU/Harness Kits give you the basics for building your own Holley HP Fuel Injection System on various applications, or just buy the Holley HP EFI ECU to build your own custom fuel injection system. 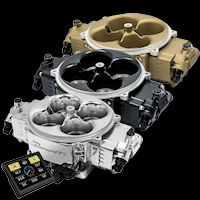 The Holley HP Engine Management System features 4 programmable inputs and 4 programmable outputs. These are used to implement some of the advanced features, like nitrous control, turbo boost control, water-methanol injection, or can be user-programmed for just about any type of sensor input or control output desired. While they are nearly unlimited in their capability, they are limited in quantity. If you plan to control a broad range of features, such as incorporating multi-stage progressive nitrous control along with turbo boost control and possible other I/O-supported requirements, be sure that the HP has adequate inputs for your needs. If you have any question, please contact us and we will be happy to assist in this area. 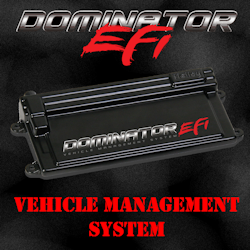 For very advanced users it may be necessary to go with the Dominator Fuel Injection System, which offers ten times the number of inputs and outputs, virtually guaranteeing any level of I/O control. Eight-Channel Injector Driver: The HP ECU features eight sequentially-driven 8:2 peak-and-hold injector drivers. These drivers allow you to use up to 16 low or high impedance injectors. Several different staged injector strategies are built right into the firmware.